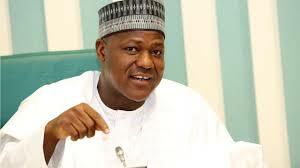 Hon Yakubu Dogara, Speaker of the House of Representatives has once again explained why he is clamouring for restructuring of the existing federal system of Nigeria. Dogara said the call for restructuring became imperative because it will give a sense of belonging to all Nigerians. The Speaker noted that, “The talk of Nigeria’s success or genuine federalism can no longer hold waters giving the state of internal insurgencies, divisiveness, ethnic and religious schism witnessed in several parts of Nigeria. Efforts at wishing away the problem associated with Nigerian federation have only resulted into several tribal, ethnic and religious movements that have even metamorphosed into terrorist syndicates. “One can, therefore, no longer fold his arms but engage some of the issues that have confronted us as a nation and threatened the Nigerian federation. This forum provides one of the opportunities for such interrogation. Accordingly, I commend the organisers for bringing this issue to the front burner once again. “That Nigeria could survive despite predictions to the contrary by the World Powers not only portrays a ray of hope but also demonstrate that Nigerian Federation has come to stay. “Nigeria is far behind many Nations and everything possible should be done to take Nigeria to where it rightly belongs among the comity of Nations given her huge and rich minerals and agricultural resources, and population. “It is therefore incumbent on us to fashion out our own type of federalism that is best suited to our people and to local circumstances. There should be genuine efforts to build the nation. Therefore ethnic, religious and sectional agenda should take back place. The essence of federalism is to foster unity and development. This has however, not been achieved. He added that the current National Assembly had shown enough determination to ensure that the federation of Nigeria is managed effectively for the good of every citizen in its several initiatives to address imbalances. The speaker also identified some emerging issues in Nigeria’s federation political gerrymandering, corruption and nepotism, state creation and boundary delimitation, electoral boundary manipulation that discriminates against voters on account of tribe, language, religion, or related status. “The same is also true of boundary adjustments, state creation and Local Governments in Nigeria. The minority tribes have complained of being short-changed. The issue of fiscal federalism and resource control. “The allocation of revenue in Nigeria is presently heated as there are always allegations and counter-allegations of manipulations against the federal government by states. There are also allegations of zero allocation to local governments by states despite very clear constitutional provisions. In addition, there has been complaint of total neglect of the states that generate the revenue as such the derivative formula has been very contentious. There is over concentration of powers and responsibilities on the federal government. There are several responsibilities that can better be handled by the states. “The power sharing between the Federal Government and the states will have to be revisited and the issue of the autonomy of local governments in Nigeria which state Houses of Assembly keep voting against,” he further stated.